Looking for a property in Mayur Vihar Ph-I? Have a property in Mayur Vihar Ph-I? All public facilities are available. Office space at the best price. Best location as it is at the middle of Noida and Central Delhi. Mayur Vihar Ph-I is a great place to live and work is well located between Delhi and Noida and the residents can avail the benefit of dual cities. Mayur Vihar Ph-I, New Delhi is rated 7 out of 10 based on 3 user reviews. Have a good knowledge of Mayur Vihar Ph-I? Share it and become a Locality expert. 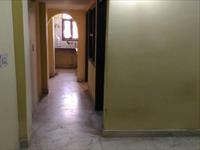 Independent 2 BHK flat in Mayur Vihar ph 1.